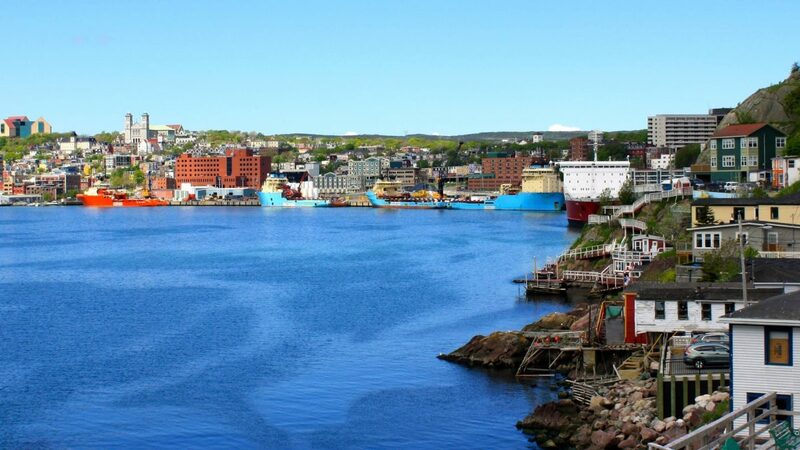 Green space, inclusion, heritage, placemaking, cycling, connecting with city council: all are topics that were discussed at the recent Neighbourhood Summit in St. John’s, NL, and all of these support the UN’s Sustainable Development Goals. On September 22nd, 2018, more than sixty community members gathered at the newly-opened Signal Hill Campus – a Memorial University facility focused on public engagement in the province of Newfoundland and Labrador – to discuss building neighbourhood capacity across St John’s. Some attendees were already involved with established associations, others were residents who wanted to learn how to do more in the community. The agenda was constructed using a participatory approach – St. John’s residents were surveyed online to find out what topics they would most like to discuss at the summit. With more than a hundred diverse responses — enough for a week-long event — the organizers had their work cut out for them. The day was filled with passionate discussion as attendees shared their expertise, personal stories, and vision for the future of St. John’s – starting at the neighbourhood level. The attendees told stories ranging from barbeques and block parties they helped to organize, to chairs they placed on their porch for passersby who need a break, to advocating for parks and green space in their neighbourhood. In a breakout session, a group of cyclists — ranging from people who wanted to get on a bike for the first time to those who cycle daily — gathered for a session led by Memorial’s Dr. Daniel Fuller to co-design their ideal bike network for St. John’s (the report will be submitted to the City Council public consultation about biking in St John’s). Where do the UN Sustainable Development Goals come into play? In every topic. Cycling? SDG 3 (Good Health and Well-being). Inclusive neighbourhoods? SDG 1 (No Poverty), SDG 5 (Gender Equality), and SDG 10 (Reduce Inequality). Greenspace? SDG 13 (Climate Action) and SDG 15 (Life on Land). And all of the topics support SDG 11 (Sustainable Cities and Communities), SDG 16 (Peace, Justice, and Strong Institutions), and SDG 17 (Partnerships for sustainable development). Terms like “Sustainable Development Goals” (or “neighbourhood associations”, for that matter) can be intimidating, but they need not be. Work toward community-level, province-wide, nationwide, or global goals starts at the neighbourhood level. Whether we clear the snow on the sidewalk, invite our neighbours to dinner, or start a neighbourhood improvement group, we can all play a part in making our communities and through them our planet better. The Neighbourhood Summit was a first step toward building capacity and promoting sustainable development in neighbourhoods. Throughout 2019, Happy City will continue its work to support capacity-building in neighbourhoods, and will be approaching this work through an SDG lens. We are in the midst of planning sessions in individual neighbourhoods, which will be led in collaboration with “champions” from those neighbourhoods. While a whole city approach was effective in gathering interested residents and experts together to talk about the future of neighbourhoods in St. John’s, the next step is identifying the needs of individual neighbourhoods and supporting their work – and helping them coordinate and collaborate with other neighbourhoods around the city. Interested in hearing more about Happy City St. John’s? Reach out to Rob Nolan, Chair of Happy City St. John’s, at chair@happycity.ca!